If you’re in NYC right now, check this out. Internationally known visual artist Bobby Hill has created 1000 limited edition Multiple Original art prints to celebrate his one-man show, ‘Bhillboards’, which opens this upcoming September 11th, for two nights only in NYC during Fashion Week. The exact location will be announced August 31st via Resetuniverse. The original prints, which currently features images of Bob Dylan, Bob The Builder, and a special one of Muhammad Ali, were individually handcrafted by Mr. Hill on found corrugated cardboard. 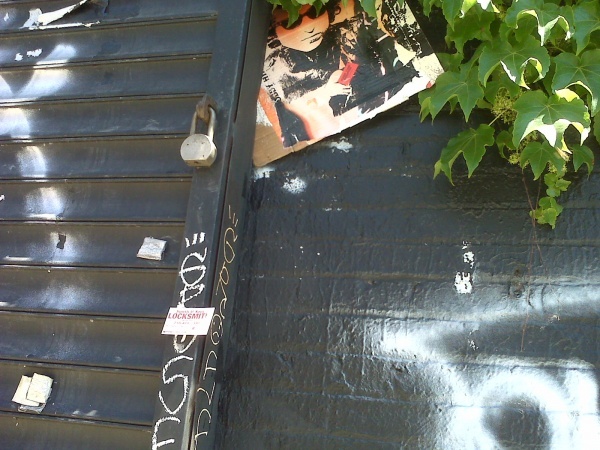 These pieces will continue to be strategically placed throughout NYC until September 10th, 2010. The lucky few that find one, will have a unique work of art that lasts a lifetime and the opportunity to bring it to the Bhillboards Artshow to get it signed. In addition, the first 250 guests to the arrive at the show will receive a NYC 9/11 inspired ‘Bobby Hill Multiple Original Art Print’.